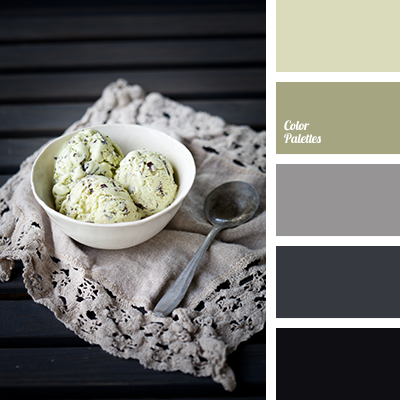 Fresh, delicate and unobtrusive palette. 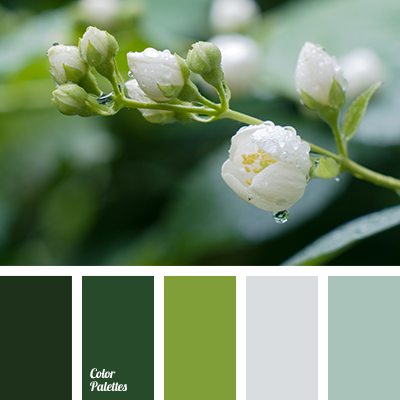 Deep shades of green look wonderful against the background of light grey and white. Color gamma is able to breathe new life, encourage and inspirit. 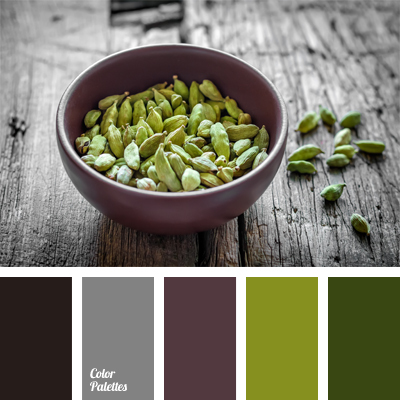 Such a color combination will fits into office and home interior. 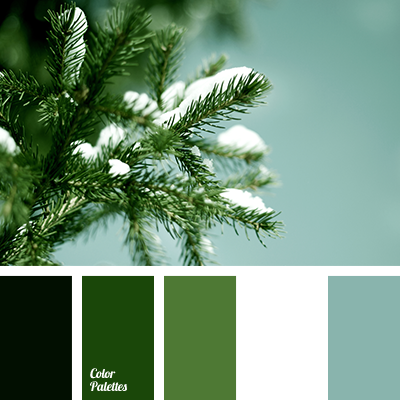 As the main shade you may choose lighter green shade that will visually enlarge the space of room. 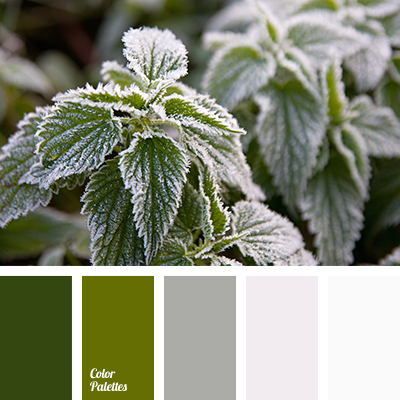 color match for home, dark green, grey, hoarfrost color, leaves color, olive, shades of green, shades of grey, silver, wedding color solution, winter color palette, winter color solution.